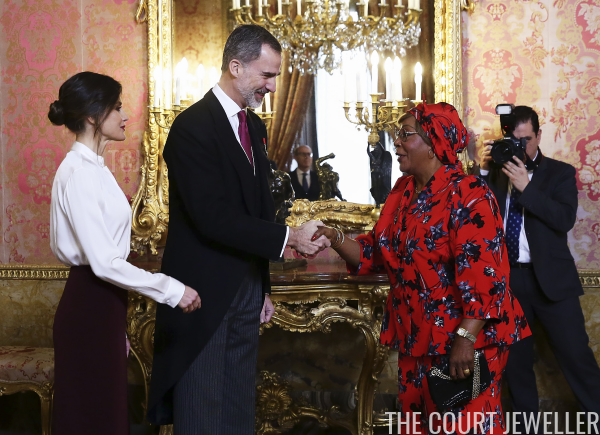 On Tuesday, Queen Letizia of Spain dazzled in diamonds in Madrid. Let's take a closer look, shall we? 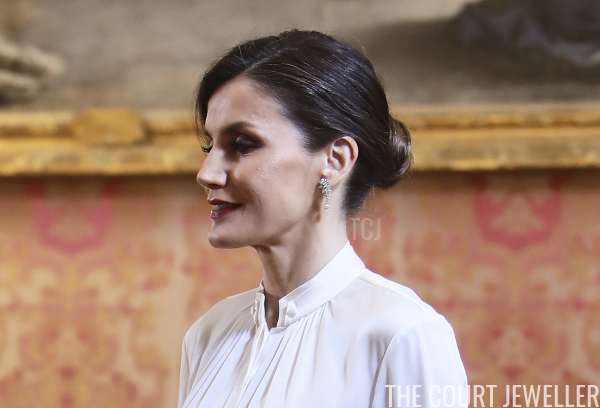 Queen Letizia chose the earrings for a reception for members of the diplomatic corps at Zarzuela Palace in Madrid. The earrings feature an elaborate diamond stud portion, featuring various cuts of stones intertwined with diamond ribbons. A detachable pear-shaped diamond drop is suspended from the rest of the earring. Here's another view, which emphasizes the size of the earring. These are larger than many of Letizia's earrings, but they're still very well proportioned for her. The earrings have been in her jewelry box for some time. Here's a glimpse of Letizia wearing them at a dinner in honor of King Abdullah and Queen Rania of Jordan in Madrid back in November 2015. 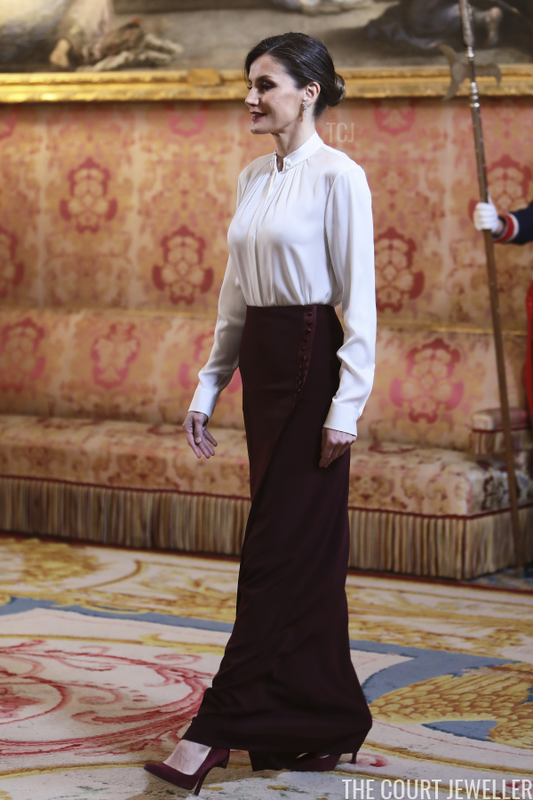 And here's a look at Letizia's entire ensemble, including a very Downton Abbey-esque skirt, from this week's diplomatic reception.